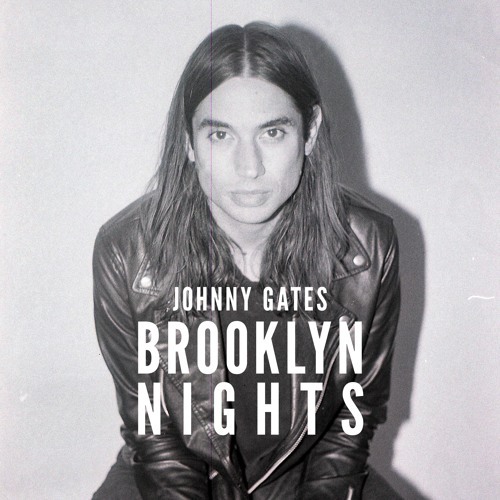 Los Angeles based singer/songwriter Johnny Gates has just unveiled his brand new single Brooklyn Nights, the follow up to his outstanding single Cliché released in July. Brooklyn Nights keep that intimate and emotional setting of its predecessor and his dreamy vocals just win me over instantly. The raspiness in his vocals makes the song stand out and adds to the emotion of the lyrics. The plucking guitar riffs and smooth, stripped back, melody highlight the intimate atmosphere of the song which is just perfect for me. On Brooklyn Nights Johnny showcases his stunning vocals and storytelling abilities. I am absolutely in love with this song guys! Stream this gem below! Brooklyn Nights is actually the first song that I wrote all by myself. It’s about a girl that I used to go to New York City with when I was younger… we would always stroll around Brooklyn together and dream up stories about our future, about us living together. We pictured it all happening, but it never did. And now, I can’t go back there without thinking about her. So I wrote this song about just that… Connecting a place to a person.